As the Denver Broncos take on the Seattle Seahawks in the Super Bowl, those of us in the movie world get more excited for the movie trailers that make their premiere during those coveted Super Bowl ads than the competition on the field. Hollywood studios have famously capitalized on one of the most watched programs to air on TV all year as a way to get buzz for their film or increase the buzz that already exists. With a 30-second spot costing $4 million this year on Fox, studios have to be absolutely sure that airing a teaser during the big game will result in a touchdown of rising expectations. Remember when that first The Avengers trailer debuted? Yeah, that's what we're talking about! Movie Fanatic presents seven Super Bowl trailers that we want to see on February 2. It’s called the big game and when it comes to movies, there is no bigger monster than Godzilla. Sure, that first Godzilla trailer was thrilling, but it didn’t really give us much in terms of story and visuals of the big guy. What better stage than the biggest there is on TV to dole out more to the public on the reboot of the Japanese monster movie that is set to rock us this summer? We already know that Sony is airing the latest The Amazing Spider-Man 2 trailer during the game and that suits us just fine. The last two teasers have only added to our excitement for the sequel to The Amazing Spider-Man. Although we enjoyed that first film, what is expected from this second one has us beyond thrilled for the trifecta of villainy: Electro, Rhino and Green Goblin. Rumors have Disney purchasing one 30-second spot, and although they could air teasers for Captain America: The Winter Soldier, Maleficent or something else, we think that the studio and Marvel for that matter need the largest TV viewing audience of the year to introduce the world to their newest superheroes. Whether James Gunn has enough footage to show, we don’t know. But, we suspect that something will air from those Guardians of the Galaxy. Like Disney, Lionsgate has purchased one 30-second spot, and one may think that they will air a teaser for Divergent (Lionsgate owns Summit, who is putting out Divergent). Sure, introducing the world to the YA book that hopes to mirror the success of The Hunger Games is a good idea. But, you have to think about the demographic and who’s watching the game. There is a statistic that plays into our thoughts that The Expendables 3 will give us our first trailer during the Broncos-Seahawks championship. 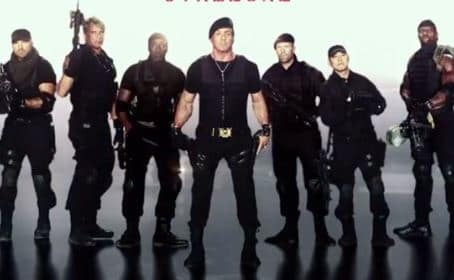 When The Expendables became a huge hit, studies found that just over 50 percent of the audience was female. Given the NFL’s ever-increasing fan base of women, and of course the presence of men who appreciate both football and the Sylvester Stallone action fest… having The Expendables 3 give us our first glance on February 2 is a no-brainer. 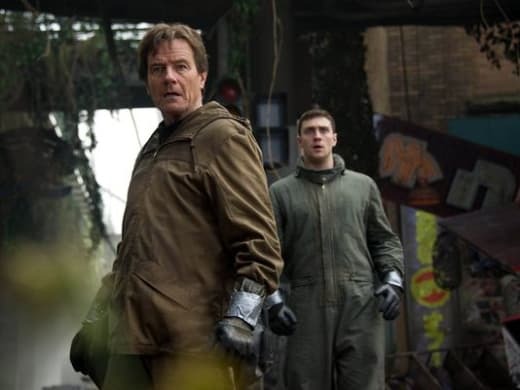 The fourth Transformers film making its trailer debut during the Super Bowl is a given. We would love to get a look at this new cast led by Mark Wahlberg. And given the fact that director Michael Bay has said that he wants footage ready for the big game in order to release a trailer, count on the “Roll Out” of a Transformers: Age of Extinction trailer. There always seems to be one “adult drama” that ponies up the money to get a Super Bowl spot, and we hope that this year’s will be a first look, even a tease, for David Fincher’s Gone Girl. It is one of the most anticipated movies of 2014, and with star Ben Affleck riding a wave of newfound success (thank you Argo and becoming Batman) coupled with the massive popularity of the book, we hope to get a little Gone Girl this upcoming Super Bowl Sunday. Hey, one can dream! We know there hasn’t been a single shot of film captured yet for Star Wars: Episode VII. But, fans thought they were going to get a look at a title sequence, or even be given a title for that matter at this year’s Comic-Con. Then that didn’t happen, so we hoped for something at the annual fan Disney event known as D23. That too never came to fruition. We’re not asking for much, but how about just a bit of music, a voice-over narration over a screen full of stars and then a logo and title reveal? Talk about buzz! 7 Super Bowl Trailers We Want to See: Touchdown!